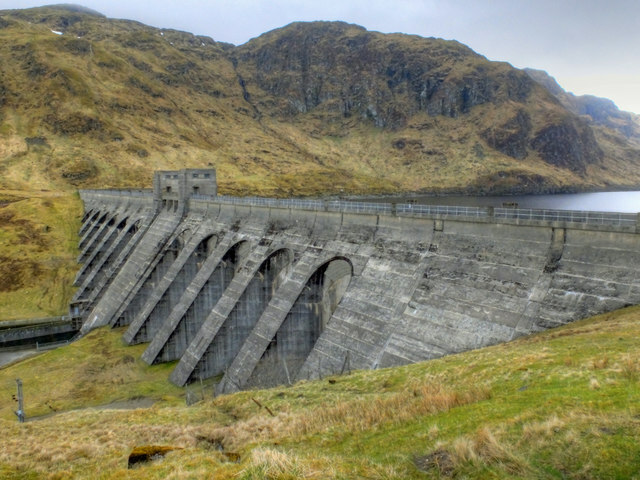 Lawers Dam was constructed in 1951-6 to hold back Lochan-na-Lairige reservoir. It measures 344m in length and 42m in height. From here the water drops 415m in a pipeline to the Finlarig power station on Loch Tay.